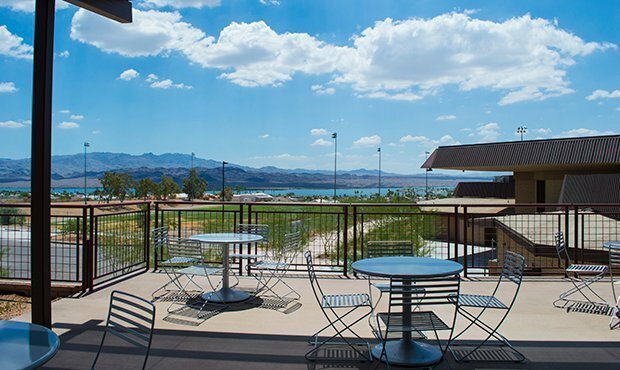 LAKE HAVASU CITY, Ariz. — Six years after Arizona State University’s campus in Lake Havasu City opened its doors at the site of a former middle school, student recruitment remains a priority. The university earlier this year unveiled its Community Advisory Group as a means of increasing enrollment, Today’s News Herald reported on Feb. 11. The all-volunteer committee has focused on rebranding the school for marketing efforts, increasing fundraising and scholarships and recruiting new students. ASU interim director Raymond Van der Riet said having the resources of a large state university gives the campus a chance to grow year-by-year. He said he wants enrollment to reach as high as 1,800 students. “We are not going to be a ginormous university, and that was never the intent, but it will be a 25-30 year process to get there,” Van der Riet said. One of the keys is to show prospective students what’s so special about Havasu, he said. Another key is to focus recruiting efforts not just on Arizona high school students, but Southern California students as well. Through its advisory group, ASU has embarked on several areas of recruitment including the placement of signage on State Route 95 directing people to the campus, radio campaign ads, postcards in vacation rentals and similar cards in hotel rooms to let people know the school is there. “Automatically students will have a connection with ASU Havasu, and I’m telling you it lasts in many different ways,” recruitment committee member Jaime Festa-Daigle said.